Queen's is known for its professionalism, and for the high quality of its cuisine and service at most competitive prices. #Queen's Tandoor, Seminyak, #Bali invites you to join the thousands of satisfied clients who dine at our Indian Restaurant on a regular basis. Considering a big gathering of 3000 people for a wedding reception, or a small gathering such as a birthday party or a reunion? Queen's have the expertise and enthusiasm to cater to the individual requirements of guests. 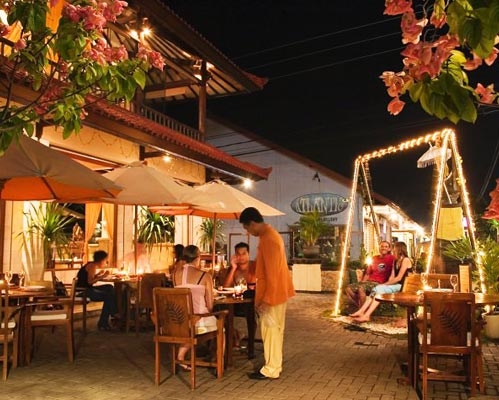 Home delivery is provided free of cost within a 15 km radius of Seminyak. QUEEN'S BALI home delivery is provided by a motorbike fleet of dispatchers. Orders are delivered to your villa within 30 to 45 minutes depending on area and access to your destination. Carefully prepared cuisine is specially packaged in insulated, environmentally friendly, air-tight carry bags to ensure the temperature of the food is maintained, so home diners can enjoy only the freshest Indian cuisine as you would expect to have served at the table in the restaurant.